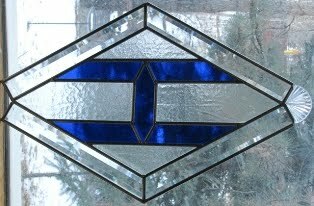 In the fall of 2014, the Heisey Collectors of America began thinking about upgrading the main entrance doors for the Heisey Museum, the best museum of its kind, in Newark Ohio with up to code doors featuring glass panel inserts. 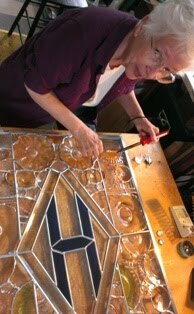 The final dimensions were established – 2 upper panels at 25” x 34” and 2 lower panels at 25” x 20”. 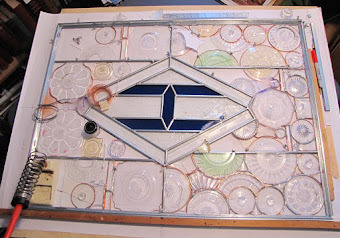 These four panels are to have Heisey glass in them. 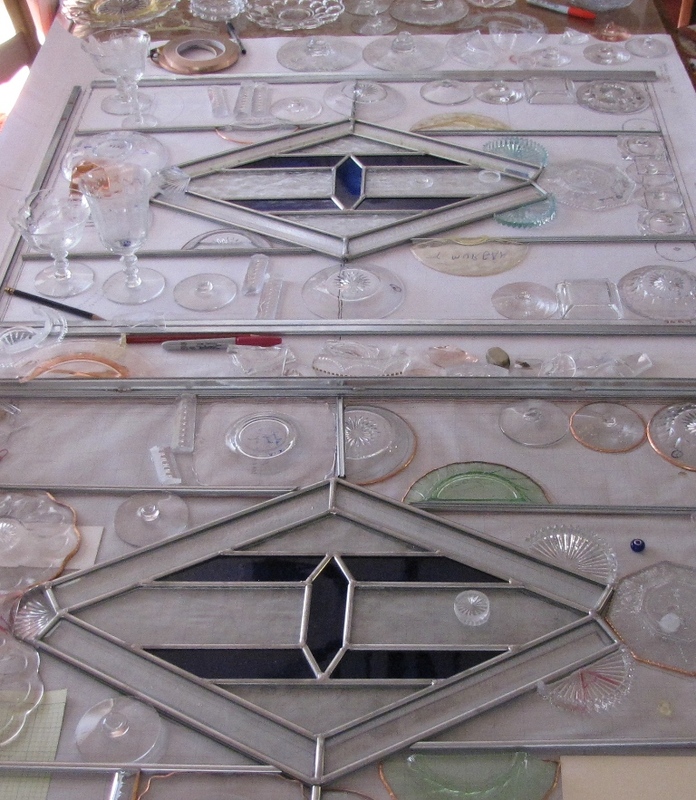 I met with the curator of the museum and the president of the club and received this commission the summer of 2015. 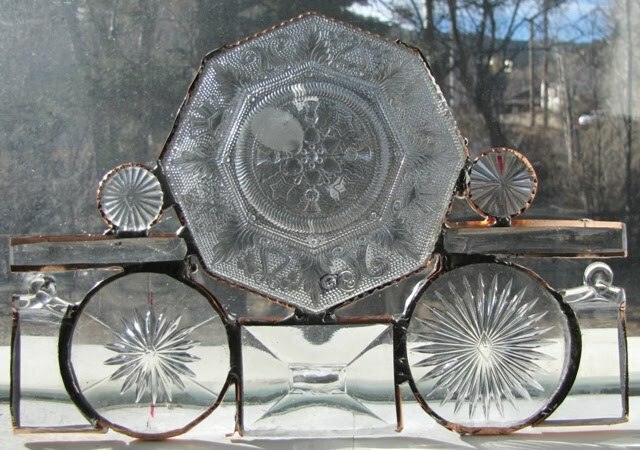 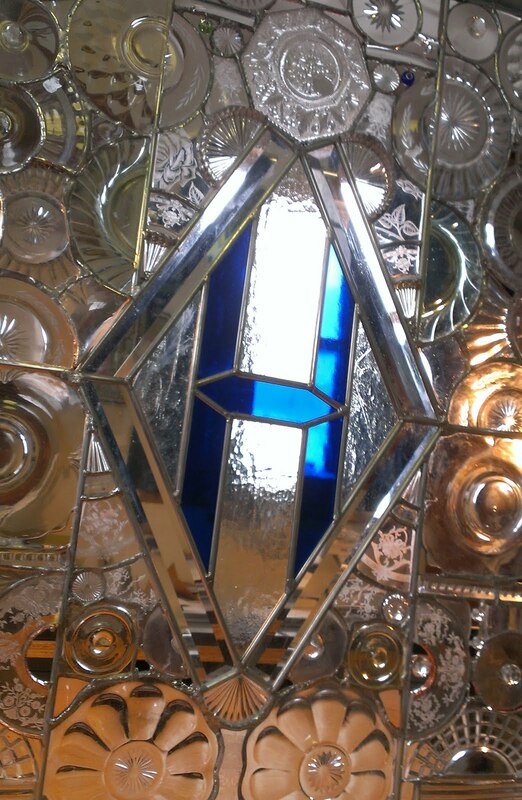 The center piece of each of the upper panels is a diamond “H”, the Heisey Glass Company’s logo. 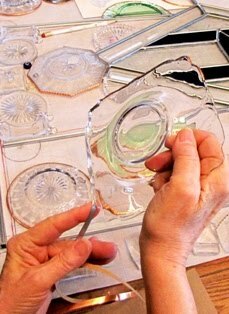 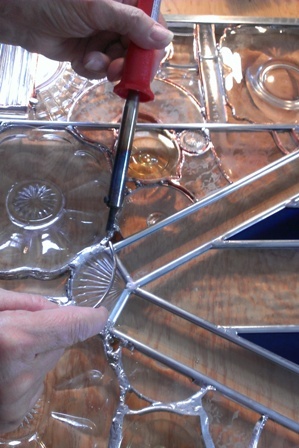 All the rest of the glass to be used will be pieces of Heisey glass. 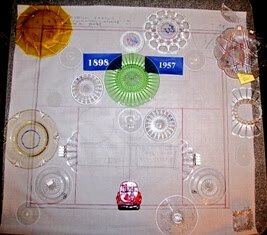 Interestingly, Ohio Questers are having their Spring state meeting at the museum this coming April.